UPA has a special place in the heart of many people. Across a wide geographic area and through a complex range of programs, members, staff, volunteers, consumers, clients, family and friends join together to offer much needed care and support for older and younger people in our communities. One of the most significant factors in providing quality aged care is to ensure that sufficiently skilled people are on hand to provide that care. UPA understand that every person is different and so is the care they require and UPA employ over 1200 skilled staff members to meet the individual care needs of the 1570 consumers and 5130 clients and provides all the necessary training programs to support staff in their important care roles. Training and development is an ongoing process but ensures that residents are cared for by highly trained, confident staff with sufficient resources and time available for them to fulfill their roles effectively. UPA have very strict and thorough systems in place when employing new staff members, ensuring they have the appropriate skills and qualifications as well as a Police check every three years. There is an obligation on UPA to ensure that the workplace is a healthy and safe place for all employed within UPA, consumers and clients, those who volunteer, contractors and others under the WHS Legislation. The UPA Board, General Manager, State Accountant, Regional Executive Members and Regional Managers, Care and Program Managers will meet their duty to exercise due diligence to ensure UPA fulfills its health and safety obligations. There is also a comprehensive set of Work Health and Safety (WH&S) policies and procedures in place. UPA Community Programs (now called UPA Home Care) have been providing assistance to frail older people to help them remain as independent as possible in their own home for more than 21 years. From 30 aged care packages in the Tweed Region in 1995, UPA now has 529 community programs in every region and district across New South Wales. 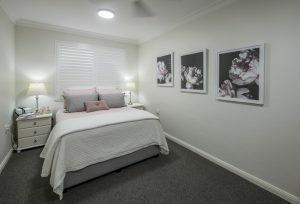 UPA offers a wide range of accommodation options throughout it’s Regions including residential care, retirement villages, nursing homes, home care services, serviced units. Privacy for each resident is embraced within a caring and understanding atmosphere and all residents are treated with respect and dignity. UPA is continually working towards upgrading, modifying and rebuilding our facilities to ensure that they can provide the best possible environment to meet the needs of those who choose to make a UPA facility their home. 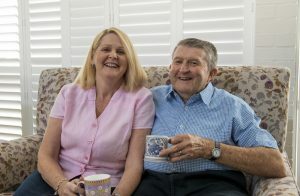 What makes UPA unique in the Aged Care industry is their commitment to care, their focus on their residents needs and how they operate in partnership with their residents, staff and volunteers. The key also to UPA’s success is being able to weather the changes in the industry and continue to improve work processes and provide the highest level of care. Recreational activities play a vital role to the quality of life of residents and greatly contributes to their well being. It is guaranteed that we will all slow down as we get older but it is important that Residents are kept engaged in activities that are enjoyable, keep them interested and provide interaction with other Residents.